Here’s a fact that will blow your mind. Coffee is actually a fruit! A FRUIT! Who’d of thunk it? Specifically, coffee is a cherry and I tried high and low to see if I could get my hands on it. I contacted luxury fruit importers and coffee roasters to no avail, but learnt a lot along the way. 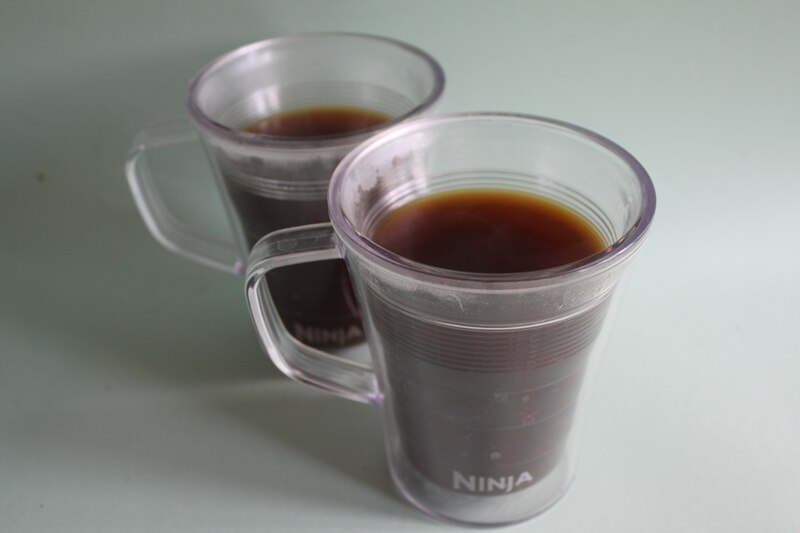 We’re a world of coffee-holics with many of us waking up every morning to a fresh cup. Even with the amount that we drink, we’re so busy in our day to day lives that we don’t always take the time to appreciate what we eat and drink. 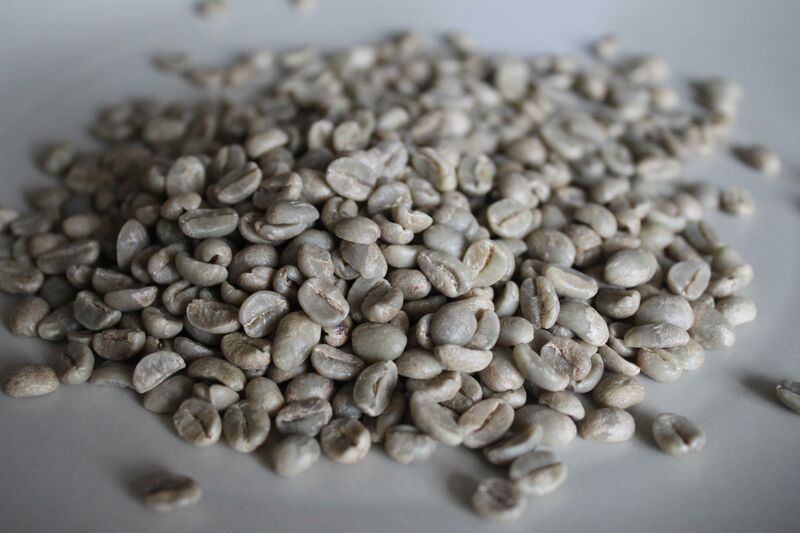 I was genuinely surprised to discover that whilst there are several stages that a coffee bean goes through, from planting, to harvest – the whole process can take up to 4 years. That’s 4 years of hard work and labour for 10 minutes of sipping on our way to work. You can get two beans in one cherry! So what’s it all about and why can’t I get my hands on these mysterious cherries damnit?! To help me out, I spoke to Andre Avedian from Fork Deli, an independent coffee shop in London as well as Steven Macatonia, co-founder of Union Hand-Roasted Coffee. 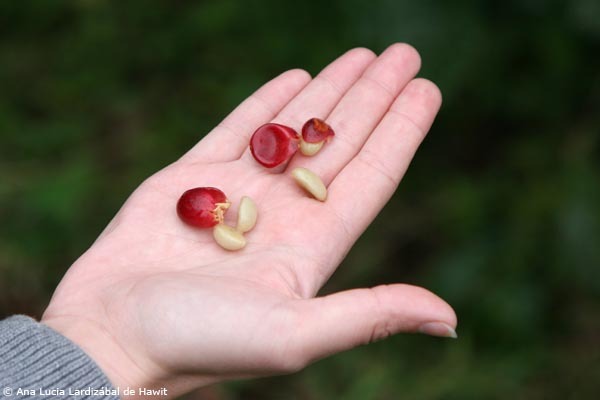 “Even though coffee cherries are officially classed and identified as a fruit, they are only used and supplied to and from coffee importers” explains Andre. So I can’t get my hands on any? Aha! Now we’re on to something. I might not be able to get them as bright red ripe cherries, but cascara seems like the closest I can get. After ordering some, I set about making coffee cherry tea to see what it’s like. We get cascara from the pulped fruit, after the coffee beans have been removed from the cherries as part of the coffee processing. 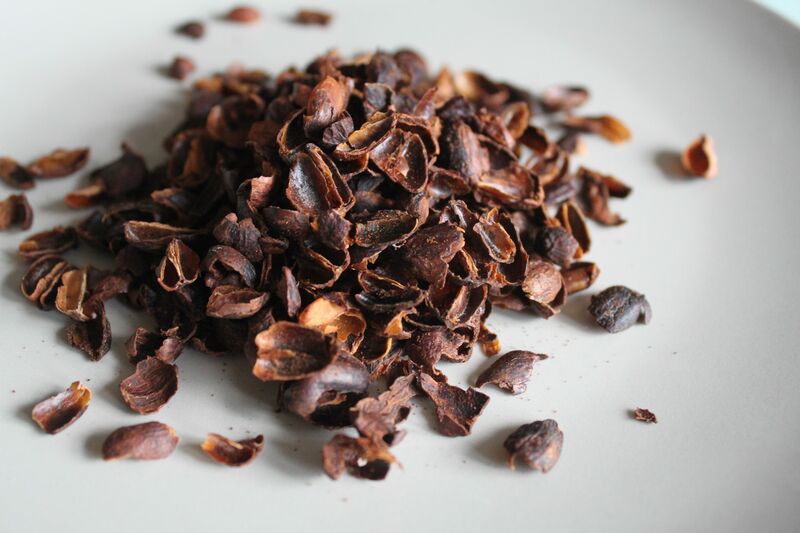 It’s then dried naturally on raised beds before milling to produce this cascara husk. 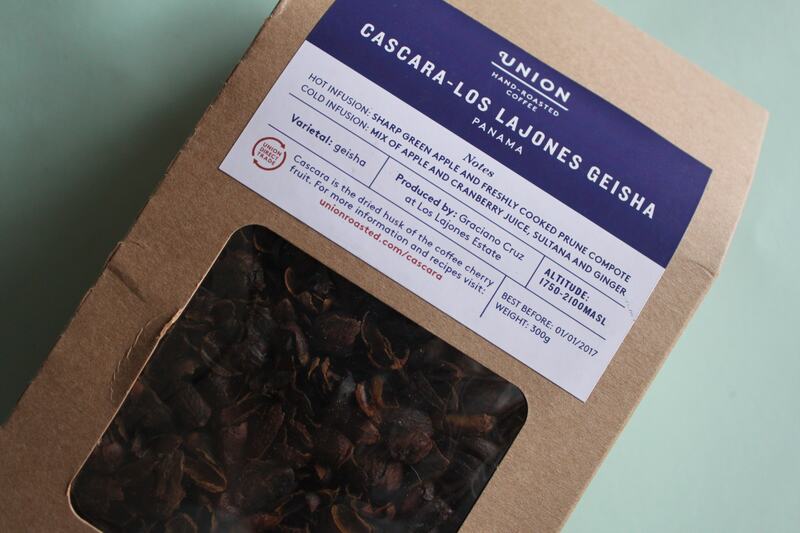 Cascara literally means ‘husk’ or ‘peel’ or ‘skin’ in Spanish. There are various methods to process the cherries. The dry method involves leaving the cherries to dry in the sun for several weeks. 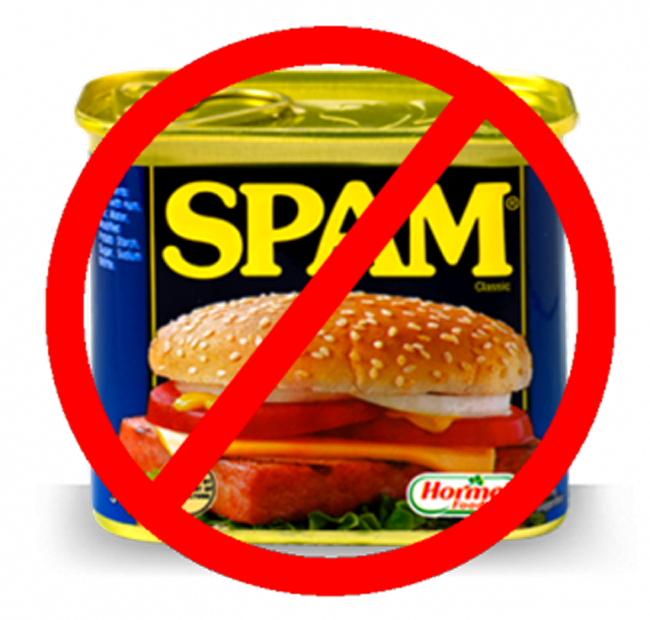 They have to be regularly maintained to avoid spoiling and are covered over night. The second process is called the wet method. It begins by separating the skin of the fruit from the bean in a pulping machine. Cascara smells almost like fresh tobacco to me! 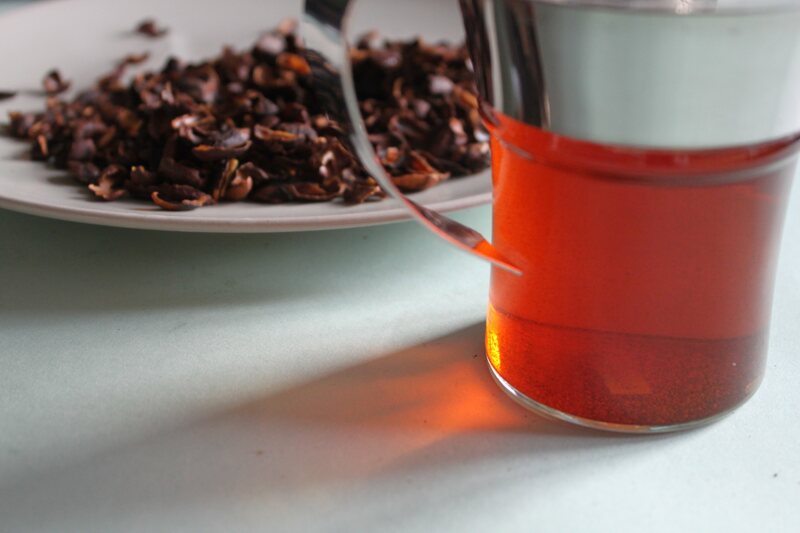 Following the instructions, I brewed 15g of the cascara to 250ml of boiling water. I infused it for the recommended 10-12 minutes and I was left with something quite delicious. It’s hard to describe, but the first thing that went through my mind was mulled cider. It wasn’t as sharp as mulled cider, but the apple notes definitely came through and it felt like Christmas in a mug. You can also brew this cold overnight and then drink it over ice, or mix into cocktails. Having successfully tasted the closest I could get to coffee cherries, I was curious to investigate more. After the husk (cascara) has been removed, you’re left with the coffee bean in raw form. In green form, pre-roasted! Specialty coffee begins when the ranking is 80 or above. 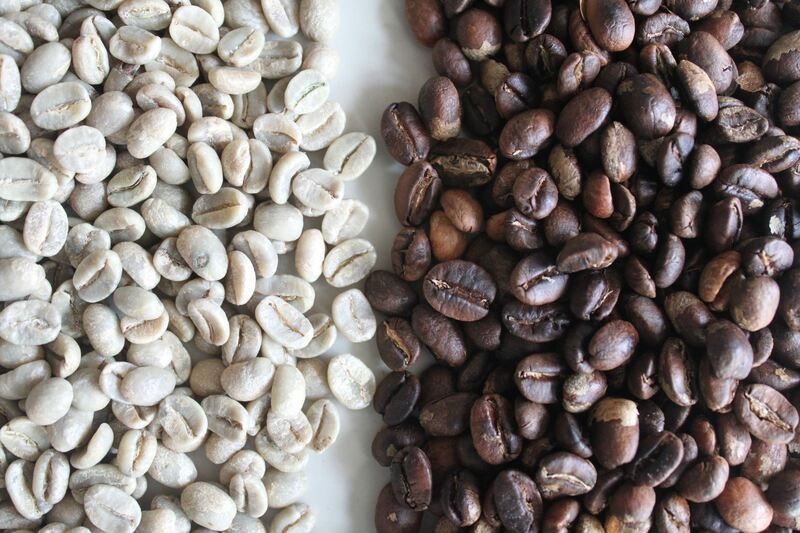 Multinational brands buy beans that come in at 70-75, and value coffee usually scores around 60-65 on the scale. Union Coffee only purchase coffee that has scored higher than 84. 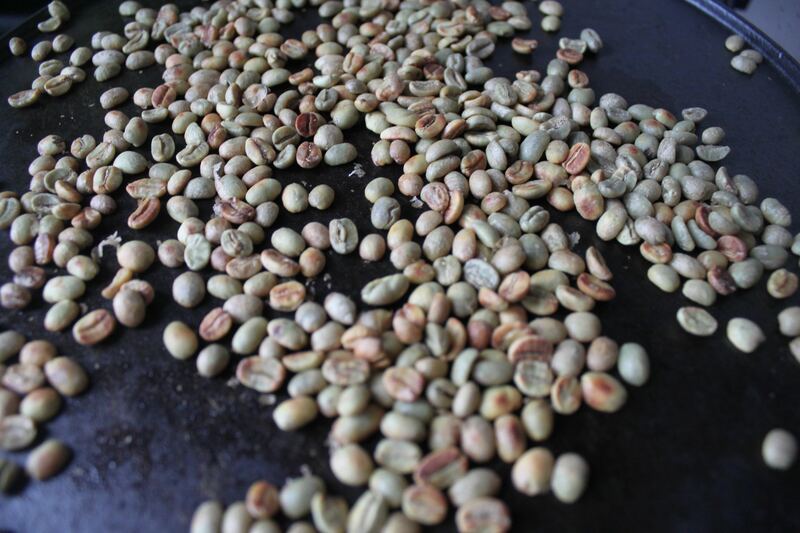 So… can you grind and make coffee from the green beans? 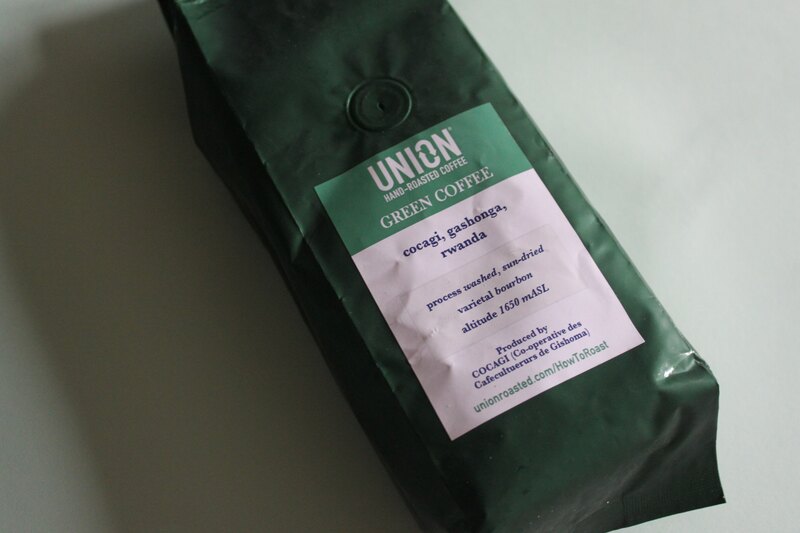 Intrigued, I got my hands on some green coffee beans from Union and attempted to roast them myself! 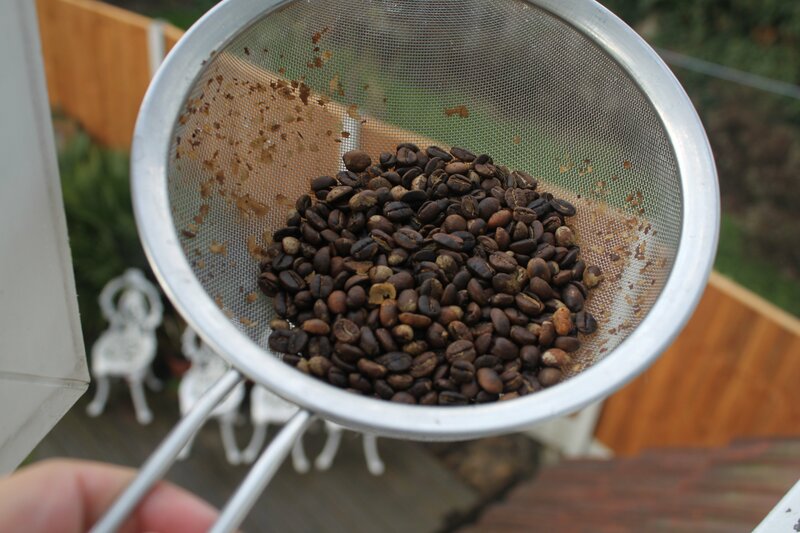 It can’t get much better than freshly home roasted brew. I’m no expert and expected the whole thing to be a disaster, but I found the process to be quite satisfying. I researched the best way I could achieve this, and after Googling the subject for about an hour, decided on my cast iron pan. The idea being that it would distribute the heat evenly and consistently. I put it on a medium heat for 10 minutes before beginning to ensure the pan was fully prepared however Union and Forkdeli (being the experts) would not use a pan like the one I took from my brothers kitchen. They would heat the beans to around 200 degrees celsius within a drum that constantly spins to prevent them settling and burning. Roasting coffee slightly reminded me of making popcorn. You listen out for the pop, or the crack. Essentially it’s the kernel or in this case the bean beginning to expand. As the roast began, my beans silently turn brownish yellow. It was a bread-ish kind of smell, and I was patiently moving them around the pan waiting for the first crack to occur and trying my best to recreate ‘the drum’ to ensure they don’t burn. 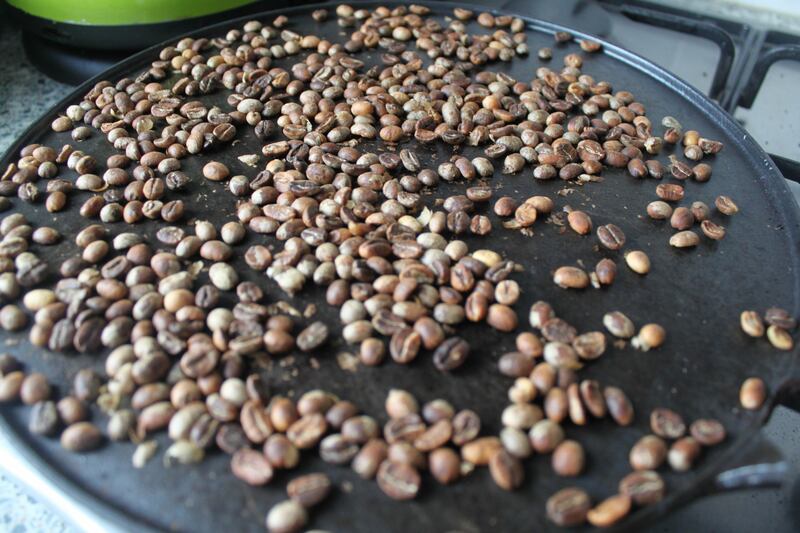 As the beans started turning light brown, they began to smoke slightly and the aroma of coffee started hitting my nose. This is when fairly loud popping noises began, which meant the roast transformation was well underway. As the beans continue to get darker, the smell intensified and just as Union’s website says, you really begin to smell a bit of sweetness in the air. I knew I wanted a darker roast, so even after the second crack I let mine continue to roast. You can tell when it’s too much or just right if you’re paying close attention. I never let mine move into the realm of a ‘burnt’ smell. With my roast complete, I needed to cool it down immediately to prevent it from cooking further. I simply popped it into my sieve and let the cold breeze go over it. Now that I had tackled the task of roasting my very own coffee, I wanted to make sure I was educated by a pro about everything! What’s the best way to grind? Coarse? Fine? What shall I use to make my coffee? So many questions! 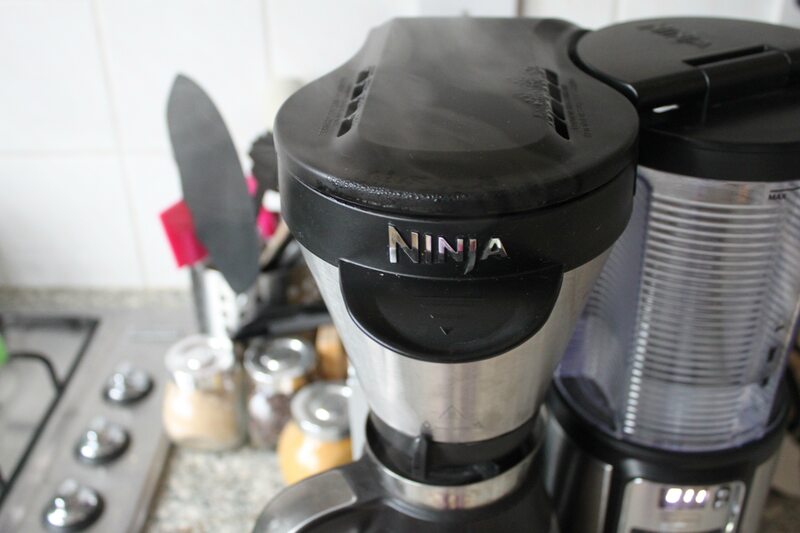 My kitchen proudly houses my Ninja Coffee Machine which in itself has already changed my relationship to drinking my brew. Since I’ve owned one I’ve ditched instant coffee entirely. It’s now always freshly ground beans, and a little part of me feels like a barista at home – without the milk steamer that I seem to always struggle with. Now grinding coffee beans is usually my favourite part as the smell is so enticing, but doing this with ‘just’ roasted fresh beans is simply on another level. Water – a large part of your cup is water. It should be the right temperature (just off the boil – not boiling) and filtered if possible. The right grind size for your brewing method. Choosing the right coffee for your taste! People do not often realise that coffee doesn’t just ‘taste of coffee’ – there is a huge difference in coffee flavours, just like in wines. 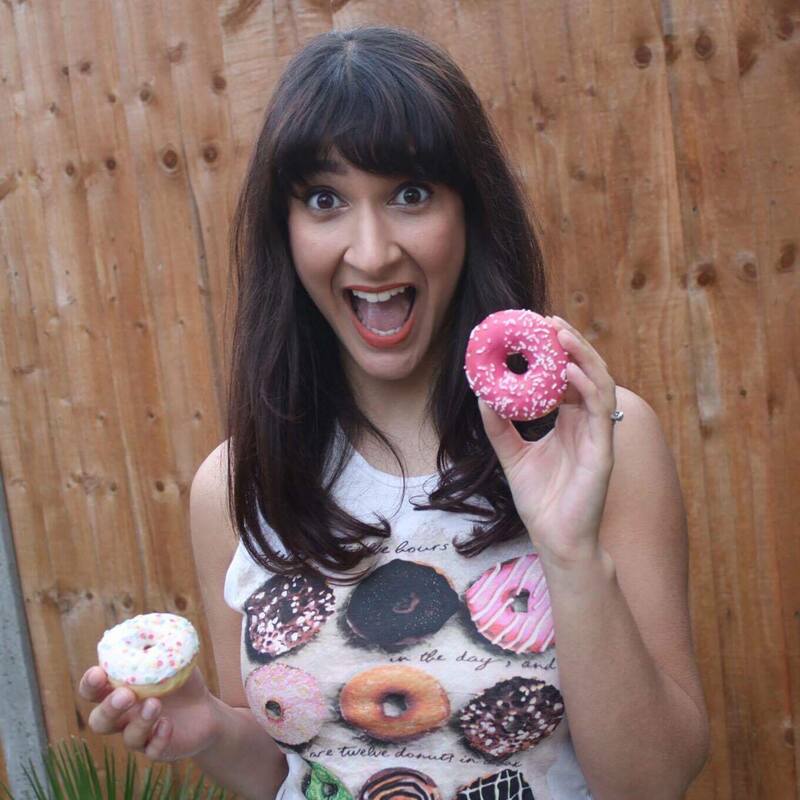 Union try to encourage people to drink their coffee without milk or sugar to experience the full flavour. 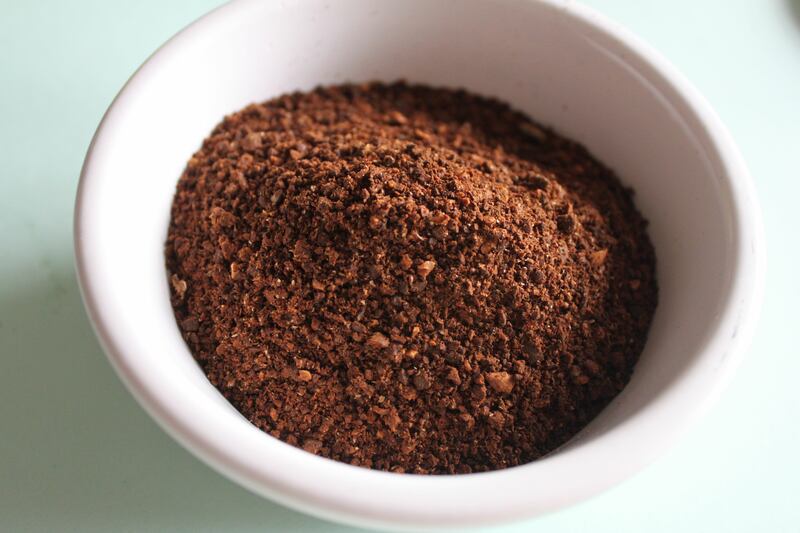 For example, if you add sugar and milk to ‘take out the bitterness’ in coffee, you are probably drinking coffee which is too darkly roasted or over-extracted for your taste. I was quite pleased with the result of my home made roast, so I must have done something right. From fruit to cup. Next stop: someone find me a cacao fruit! Or maybe you’d like to try your coffee with cheese?